Macquarrie criticises those theologies which over-emphasise the divine side of Jesus to such a degree that they almost ignore his humanity and he criticises those `adoptionist' views, ancient and modern which threaten to take away the very notion that Jesus Christ is God-Man. He also challenges modern New Testament historical scholarship, arguing that even if we knew vastly more about the historical Jesus, the mystery of his person would still remain. - Publisher John Macquarrie is Lady Margaret Professor of Divinity Emeritus in the University of Oxford. 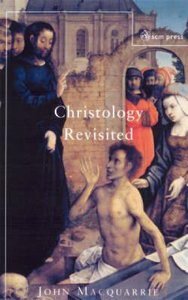 - Publisher Macquarrie returns to the subject of his prize-winning "Jesus Christ in Modern Thought," as he 'revisits' and expands his understanding of the person of Jesus Christ. Macquarrie challenges extreme views of many kinds. He criticizes those theologies which over-emphasise the divine side of Jesus to such a degree that they almost ignore his humanity, and he criticizes those 'adoptionist' views, ancient and modern, which threaten to take away the very notion that Jesus Christ is 'God-Man, ' He also challenges modern New Testament historical scholarship, arguing that even if we knew vastly more about the historical Jesus, the mystery of the person would still remain. John Macquarrie is Lady Margaret Professor of Divinity Emeritus in the University of Oxford. Macquarrie returns to the subject of his prize-winning "Jesus Christ in Modern Thought," as he 'revisits' and expands his understanding of the person of Jesus Christ. Macquarrie challenges extreme views of many kinds. He criticizes those theologies which over-emphasise the divine side of Jesus to such a degree that they almost ignore his humanity, and he criticizes those 'adoptionist' views, ancient and modern, which threaten to take away the very notion that Jesus Christ is 'God-Man, ' He also challenges modern New Testament historical scholarship, arguing that even if we knew vastly more about the historical Jesus, the mystery of the person would still remain. John Macquarrie was Lady Margaret Professor Emeritus of Divinity at the University of Oxford and Canon Emeritus of Christ Church in Oxford prior ro his death in 2007. Macquarrie is internationally known as an outstanding interpreter of theology. Expected to ship in 1 week from Australia.